My biggest problems with food is eating when I am stressed, or eating when I am bored. It has nothing to do with feeling hungry, it is just mindless eating. This does not just apply to sugar. I will say that when I am stressed, sugar/candy is my go to snack. The boredom food is usually anything that is laying around. Here are some tips that help when you are craving sugar, or just going to eat crap. * Brush your teeth/use mouthwash. This will help because it keeps you busy for a little, and everything tastes bad once you brush your teeth. * Eat a piece of fruit, like an apple. 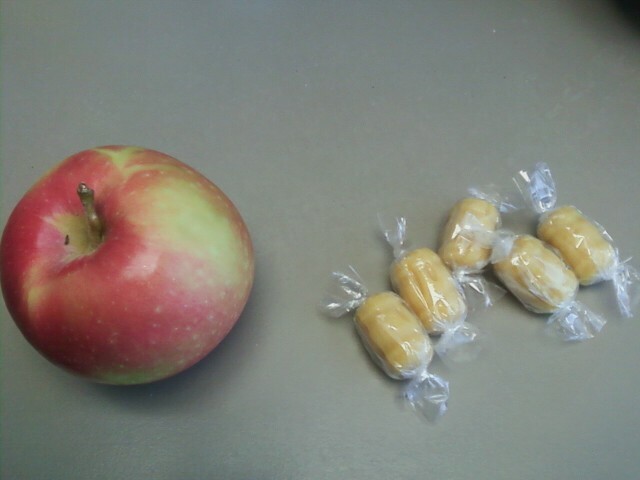 I might end up eating like 5 apples, which would defeat the purpose. So, try cutting an apple up into a bunch of pieces and sprinkle some cinnamon on it. Takes longer to finish the apple this way. * Go for a walk/run. Working out in any way makes you feel good, and makes you want to be healthier in general. If you still find yourself going on little binges, then write down everything you ate and calculate the amount of calories you took in. You don’t want to know the amount because it can be horrifying (believe me), but if it will help you the next time you want to mindlessly eat then DO IT!